There are many bloggers, who really want to get something from blogging but there are many thing which they don’t care when they start their first blog, Its true, that with time, our skills grow and improves. I know that not every one is an expert from beginning and i was also not, but with the continuous hard work and dedication to your work sure you can achieve your goals. But there are two types bloggers around us one who are really serious about their bogging career and the other are who really want something but without paying nothing. So if you are one of them who just want to make a lots of money but don’t want to create a good blog then you can’t just go some extra mile. If its blogging or any other work they all need hard work and lots of patience. Its been more than 5 years i started my first blog and i learned so many things about blogging. But i never stopped and continued my hard work because, i was sure about my work that, it will work some day and i will get what i have always dreamed off. And after all of this, i new that there is no shortcuts to success, the only thing you could do is continuous hard work. Here i will share 10 things you should do before you start your first blog in 2014. Consistency is a key element of any successful career, whether its blogging or any other field. Don’t just work keep it continue with your hard work. There are so many things to do when you start your first blog. You have to take care of every title thing which is important for your blog. Try to keep searching for new resources for your blog, so you can create a better blog from others. There are every thing available for your blog just try to find those thing which will help you to create a good blog. Keep your blog updated with all new fresh contents, this will keep your readers engage on your blog and they will not stop coming back to your blog again and again for new content. Try to write a new post every other day and it should be well written and informative. Content is one of the most important thing of your blog, and it should be created very carefully. People comes to your blog just because of your contents, and its very important for you that you create a good quality content for your readers so they can trust on your words and keep coming back. Don’t just write anything, write something which people wants to read about. Not every content is a king, but a good informative content is a king. So don’t just write, write something which your readers loves and want to read. Double check your content before publishing, there could be so many errors in your post which is bit difficult to find sometimes and puts bad impression on your readers. There are so many free proofreading tools and websites available like copyblogger and gingersoftware etc. Which you can use to correct all of your errors from your post. It doesn’t mean that you fill your post with fluff to create a 1000 words post. But yes, a lengthy post works and ranked higher on Google. Don’t just create half story but try to explain full story by linking to all important resources. A well explained post is far better than any incomplete post, and no body likes an incomplete post. So try to pour all of your words to better explain your post. When you will explain anything briefly, your readers will trust you more and will definitely come back to your blog to get there answers. – You can use the words: ‘You’ and ‘I’ these words helps to create a conversion between you and your readers. – Give space in paragraph: Don’t just continue your paragraph without any break. Try to put it into parts so it will make your readers better understand your post. – Use italic and bold: Try to highlight the important words and lines in your post by using bold and italic, so it will bring those important words to your readers so they can better understand the lines. Your blog design is also very important. There are lots of free templates available which you can use on your blog to make it look professional. I never knew that how a good design can make a big difference. I always try to make my blog look professional. I tried to keep it simple and easy to navigate so my readers could easily navigate through my blog to get what they were looking for. You could simply get ideas about your blog design that how you want your blog should look like?. Just try to discover some great blogs over the internet like Techcrunch, Mashable, Huffpost etc, and try to find that how these blog has been made. I know that creating a blog similar to above blogs could be very difficult for you but you can try to make your blog something like that. I know that when you start your first blog, its not easy for any one to start spending money for your blog but this is really important if you are really serious about blogging and taking it as a career. 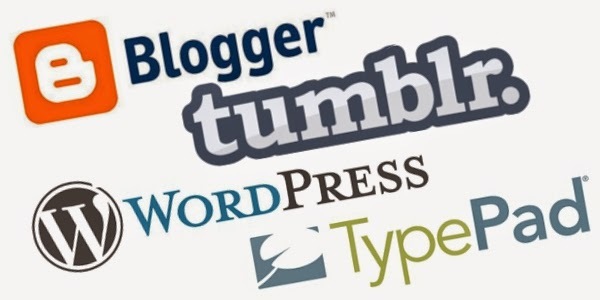 To start blogging you can easily go with any free blogging platform like Blogger, WordPress, or Drupal to star your free blog. But if you want use it as a professional then you have to take your blog to the next level. Buy a custom domain for your blog for about $10 to $12 for a year. If you want you can go with the following websites to get your custom domain name, and you can easily connect your blogger blog to your custom domain. For better support and features i would recommend you to go with WordPress, because WordPress provides a better blogging experience than blogger and any other blogging platform. There are lots of plugins available for you to help you for anything. which you don’t get in blogger and other platform. There are lots of cool and professional themes you can choose for your blog to give it a professional look. Social site are really great, which you can use to get lots of traffic to your blog. There are many social sites like Facebook, StumbleUpon, Google plus, which you can use to get more exposure to your blog. Try to create your profiles on many social media site and create a page on Facebook and Google plus and promote it by sharing your content on your profile page. You can read my previous post ”The Secret of Using Google Plus to Get More Followers and Drive More Traffic”. You can also promote your post on Facebook and StumbleUpon by advertising on these sites. After starting your first blog you can easily get more exposure to your blog by leaving comments on other relevant blog in your niche. Blog commenting is really a good way you can drive lost of traffics to your blog and you could easily create a good authority by leaving valuable informative comments and by helping others by your comments. Blog commenting can also help you to get some quality backlinks for your site, but how you should comment? well, its not that you go to any website and just publish your comments that’s it no! You should always make comments on a relevant site, here is how you could do this. First, try to find relevant blog or websites, how? just take any of your blog post title and paste it into Google and search, now you will see that, there are many other website and blog who also have covered the same or relevant contents. Just go to any of those sites and head over to comments and now try to create a valuable comment by inserting some keywords retarded to your post now enter your Name, Website, and Email ID and hit publish that’s it. There are lots of free blog directories where you can add your blog and it will help you to create authority to your blog and will also increase your traffic. Not every directory is good but, there are some good directories available few of them listed below. Don’t ever try to play games with Google’s webmaster and quality guidelines, as playing games with Google’s webmaster guidelines you could easily ruin your blog and website. After the latest Google’s algorithm update from Google. Many bloggers and website owners have found themselves into Google penalty box just because they were not following the rules of Google’s webmaster and quality guidelines. Don’t try to use those old wrong techniques for getting backlinks for your blog to get higher PR fast. So read the Google’s webmaster guidelines very carefully and follow them and keep track of any updates from Google so it will keep you out of the penalty box. I hope that all these things would really help you to create a good looking blog. Just try to keep all the things in mind and follow them so you will never get disappointment from your work and sure you will start getting very good results in very short period of time. Just share your views or if you want to ask anything just leave it in the comments below.